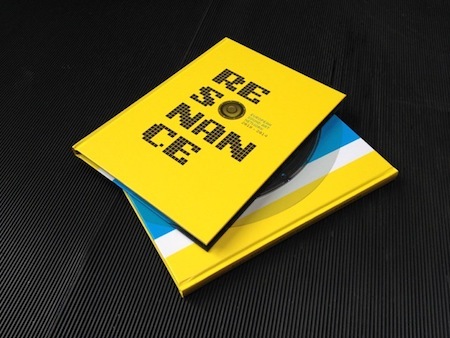 The RESONANCE project was an European collaboration of a number of co-organisers and associated partners with a focus on the production, the presentation, the documentation and exchange of experience in the field of contemporary sound art. The RESONANCE sound art network has been active between May 2010 and July 2014. Through a series of residencies, RESONANCE provided sound artists with opportunities to produce and show new work in an European context. You can order RESONANCE European Sound Art Network 2010-2014, the full and richly illustrated catalogue of the sound art works that were commissioned by the network in the four years of its existence, online. The book contains, complete and unabridged, all the interviews with the participating artists, documenting their reflections about content and process at the time of their work for RESONANCE. RESONANCE was coordinated by Stichting Intro/In Situ in Maastricht (the Netherlands). Co-organizers were the Festival van Vlaanderen in Kortrijk (Belgium), the singuhr – hoergalerie in Berlin (Germany), Lydgalleriet in Bergen, Norway, and Le Bon Accueil in Rennes (France). The RESONANCE Project was monitored by Harold Schellinx. He was also the editor of the RESONANCE blog. To contact him, try Facebook, or his SoundBlog.